Monkey Baa Theatre Company return to Alice Springs with Diary of a Wombat, a new Australian play based on the multi-award winning picture book by Jackie French and Bruce Whatley. Millions of young people have adored the book and now this iconic work has been adapted for the stage – it’s a live show of stunning puppetry and live music perfect for audiences aged three years and over, as well as grownups. 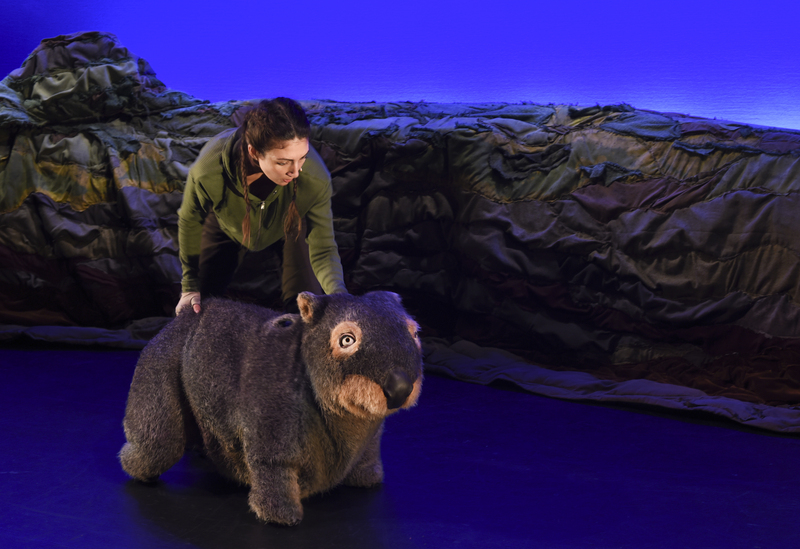 Audiences meet Mothball, the naughtiest wombat in Australia, who gets bored with her daily routine and goes in search of shelter and food, creating chaos in the lives of the humans around her. Monkey Baa Theatre Company are an award-winning theatre company for young people and were last seen in Alice Springs in 2014 with their production of Pete the Sheep. Diary of a Wombat will be live onstage at the Araluen Arts Centre on Friday 13 October at 10.00am and 6.00pm. Tickets are $22.00 for adults and children and available online or from the Araluen Box Office on (08) 8951 1122.